06. USINEWS-01; US-IN-EU Worldwide Science Workshop Series, UMN, Duluth, USA, 2017. MOL2NET: FROM MOLECULES TO NETWORKS (PROC. BOOK), 2018, Vol. 3, 679 pp. We are glad to invite all colleagues worldwide to participate on a new edition of this International Conference Series. The official title of this conference series is MOL2NET International Conference Series on Multidisciplinary Sciences. MOL2NET (the conference running title) is the acronym of the lemma of the conference: From Molecules to Networks. This running title is inspired by the possibility of multidisciplinary collaborations in science between experimentalists and theoretical scientists at all levels of knowledge. In fact, this is an International Conference Series to Foster Interdisciplinary Collaborations in Sciences with emphasis on Experimental Chemistry (all branches), Materials Science, Nanotechnology, Life Sciences, Medicine, and Healthcare, along with Data Analysis, Computer Sciences, Bioinformatics, Systems Biology, and Complex Networks Sciences. The Scientific Headquarters (HQs) of this conference series are in the Faculty of Science and Technology, University of Basque Country (UPV/EHU), Biscay. However, the idea of this multidisciplinary conference emerged from the melting pot formed as the result of multiple collaborations of professors from many centers worldwide. Locally, the founders and strongest supporters of the conference are professors endowed by IKERBASQUE, Basque Foundation for Sciences, professors from the two departments Department of Organic Chemistry I and Department of Organic Chemistry II of the University of Basque Country (UPV/EHU), and professors from the Department of Computer Sciences of the University of Coruña (UDC). In addition, professors / researchers from the Center for the Study of Biological Complexity of the Virginia Commonwealth University (VCU), USA, the Natural Resources Research Institute, of the University of Minnesota, USA, and many other institutions are also founders and supporters of this conference, please see full committees lists. The conference has two main participation modalities. The fisrt is the online participation by submission and publication of your written communication, slide presentation, and/or video conference totally online, and free of charge (see the 3 general sections). Publication of all communications will be online via the platform SciForum of the Editorial Molecular Diversity Preservation International (MDPI), with HQ in Basel, Switzerland, and Beijing -Wuhan, China. This year the second edition of MOL2NET is planed to be held from 2017-Feb-15 to 2017-Nov-30 (including interactive discussions, posts, comments, questions, and answers about papers in the online platform Sciforum). However, the online submission platform is open and the publication of communications will be asap upon acceptance, all the year. For more details, see Schedule & Program page and to submit a communication use the Submission link. Remember, these are the dates for the online conference and not for the face-to-face workshops associated to the conference. MOL2NET-01, the first edition of this conference series, was held in Dec 2015. This first conference attracted more than 100 papers and 300+ authors and/or committee members representing 30+ universities of 20+ countries. Some of the world top universities and centers represented in the lists of committee members and/or authors were: Harvard Medical School, Boston, USA; Stanford School of Medicine, USA; Virginia Commonwealth University (VCU), USA; University of Minnesota Duluth, MN, USA; Conservatoire National des Arts et Métiers, CNAM París, France; University of Pennsylvania, USA; Miller School of Medicine, University of Miami, USA; EMBL-EBI European Bioinformatics Institute, Cambridge, UK; CAS Chinese Academy of Science, China; ZJU Zhejiang University, China. Harvard Medical School, Boston, USA; Stanford School of Medicine, USA; Virginia Commonwealth University (VCU), USA; University of Minnesota Duluth, MN, USA; Conservatoire National des Arts et Métiers, CNAM París, France; University of Pennsylvania, USA; Miami Dade Collegue (MDC), USA; EMBL-EBI European Bioinformatics Institute, Cambridge, UK; CAS Chinese Academy of Science, China; ZJU Zhejiang University, China. MOL2NET International Conferences Series on Multidisciplinary Sciences is a scientific conference that runs totally online at the SciForum platform promoted by the editorial of the Molecular Diversity Preservation Institute (MDPI), Basel, Switzerland. https://sciforum.net/conference/mol2net-02. Consequently, no physical presence is needed saving traveling costs. However multiple workshops associated to the conference run in person (face-to-face) at their organizing universities. This year our conference is planing to host some of these workshops. The participants in these workshops will be allowed also to participate and comment online in our platform including cross-section comments. 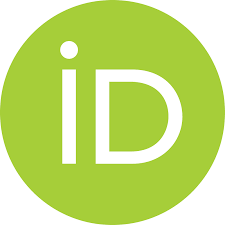 In parallel, the members of committees and/or authors are encouraged to edit special issues for different journals of the editorial MDPI (http://www.mdpi.com/). See, as example, the special issue on the International Journal of Molecular Sciences (IJMS), IF = 3.257), with 18 papers in total including papers from the conference, link: Special Issue on Data Analysis in Molecular Sciences. In order to send a proposal of associated workshop and/or special issue contact the chairperson of the conference and UPV/EHU Ikerbasque Professor Prof. H. González-Díaz . We are uploading flyers and promotional videos (in different languages) to the MOL2NET accounts in different social networks such as: GOOGLE+ account with +50000 viewers; FACEBOOK group with +10000 followers; and TWITTER account @mol2net. In addition, we have uploaded topic-specific pages with lists of contacts of people related to the conference. In this page you can find people with research interests focused on one specific area such as Organic Chemistry, Computational Chemistry, Materials or Nanoscience, etc. In this sense, to contact people related to all areas of Chemistry you may visit [Section 01], but to contact people related to Organic Chemistry & Medicinal Chemistry specifically (organic synthesis, catalysis, drug discovery, etc.) you can visit also the page Organic Chemistry People, as well as [Section 08]. The MOL2NET conference is Totally Online; no physical presence is needed saving traveling costs. We accept experimental works, theoretical works, or experimental-theoretic works in the areas mentioned. Proceedings will be Published Online, Open Access, and Totally Free of Charges (no cost). Please, see the following instructions: (1) Read call for papers [Link], (2) Read [Instructions to Authors] and download template .doc file MOL2NET 2016 Microsoft Word template file, (3) Submit short communications (2-3 pages), reviews, papers, or videos: [Link]. For details about in person (face-to-face) participation on associated workshops contact the respective members of the local committees. The MOL2NET conference runs both online (general sections) and/or in person (associated workshops); no physical presence is needed for online participation saving traveling costs. We accept experimental works, theoretical works, or experimental-theoretic works in the areas mentioned. Proceedings will be Published Online, Open Access, and Totally Free of Charges (no cost). For details about in person (face-to-face) participation on associated workshops contact the respective members of the local committees. Before to submit your communication recommend to download and use the template file below to write your communication; we strongly recommend you to read carefully the following notes to participants about publication model, copyright, authors responsibilities, etc. Before to submit your work be aware that the works published here belongs to two main modalities preliminary communications or comments on previous works. Research Highlights are comments on previous works, they are short notes devoted to comment about the more interesting points, update some topics, highlights, etc. of works previously published by the authors or other groups. In this case, committee and/or external reviewers check also only scope and apparent scientific soundness. The works may receive also comments from registered participants (public post-publication review). In any case, it is the duty and responsibility of the authors solely, to ensure the veracity of the contents, checking similarity to other works, and carry out a proper citation of previous works. The committee is not responsible of this previous aspects in this publishing modality. In this sense, we strongly recommend the authors to use online text-similarity checking services to avoid any form of plagiarism or copyright violation. The authors may be requested to modify the communication (re-write their texts) in the case that high similarity is detected and reported to the committee. In these cases, the manuscript could be put on standby or withdrawn temporarily until the authors re-submit the proper version. The authors are also allowed to submit short reviews, comments, letters, or discussions of papers already published if they guarantee sufficient difference to previous public contents. The Public Administration, in its function of satisfying the interests of the collective, and taking into account the principle of legality and the corresponding legal guarantees, often requires things of personal property for reasons of public utility or social interest. These cases include: compulsory expropriation, temporary occupation, limitations and administrative easements; all them legal institutions regulated by Administrative Law. Administrative easements arise to respond to the needs of social existence. They have evolved from civil servitudes to an institution of Administrative Law. How many times it has become necessary to provide electrical or water services that the poles, towers or pipes are located on lands that are not public property? It is of public utility to receive an adequate electrical service and aqueduct service, and for this, administrative easements are indispensable. These easements allow to obtain advantages, for the benefit of the collective. Several aspects of this legal institution have not yet achieved a uniform approach between the branches of Civil and Administrative Law. Those aspects include: conceptual delimitation, legal nature, fundamental characteristics of the institution, and its distinction with other related institutions, diversity of classification approaches, or the adequate manner of compensation. This situation creates confusion regarding the institution, which affects its theoretical, legislative and jurisprudential treatment and, as a consequence, affects legal certainty. This article discusses the approaches to the controversial definition of administrative easements.". According to ALBALADEJO, the servitude consists of the real power over the property of others to make partial use of it. He adds that it is not possible a better delimitation of the concept because the power, object and content of these institution can include very different situations. It is also recurrent to find that servitude is considered as a real, perpetual or temporary right of one or more persons over the property of others, with a certain right over its usefulness . Previous definitions constitute a minimum reference of the long list of approaches about this institution from the Civil Law doctrinal perspective. Nonetheless, common elements can be appreciated. It is not possible to determine with complete precision a definition of easements, which allows us to identify them convincingly in relation to other legal institutions that also have an impact on property rights. There is no identity between civil and administrative easements. Although servitudes of public utility come from civil servitudes, the individuality of each is undeniable, especially because administrative easements have their cause in public utility or social interest, which permeates the characters and the legal regime Administrative procedures. JOUSSELIN is one of the first authors to note that easements of public utility are modifications to real property made in favor of public utility, as determined by laws and regulations. In such a case, the institution of public easements would contain the whole legal system of property, without recognizing distinctions between limitations, charges, obligations, temporary occupation or expropriation. For OTTO MAYER the definition is more restricted. It refers to the fact that public law easement is a partial legal power constituted on property in favor of a public company. In contrast, BIELSA considers administrative easement a real right, constituted by a public entity (state, county or commune) on a private land, with the objective of serving the public use as an extension or dependence of the public domain. This conception finds several followers in the administrative doctrine, because they recognize in the administrative easements a real right over the other´s thing in order to serve the public interests, real right that ends up being part of the public domain. An almost unanimous element in doctrine is the reference to the general interest as the cause for establishing administrative servitude. GARCINI recognizes this element expressly. Although it limits the conception of administrative easements to the burdens that can fall on properties originated not by the necessity of another private thing that is adjacent to her, but by the closeness of public things..
For GARRIDO FALLA, closeness is not an essential element of administrative easements, but the partial subjection of the immovable to a use by the collective. The above definitions show the diversity of approaches to administrative easements, which confirms the difficulty of uniformity. The elements that often converge are: they are recognized as a real right, are constituted on the property of others, and respond to public interests. These common elements are not enough to identify administrative easements in the juridical traffic. Its complexity is given by the lack of delimitation of its contours and to achieve a more suitable definition. The administrative easement is the real right whose content includes the use or improvement of the thing property of other, for reasons of public utility or social interest, without it is indispensable reciprocity, or vicinity. For example, there is an administrative easement when the Public Administration in other people's property requires establishing pipes, posts or electric cables; or establishment the sign that identify the name of the streets. However, do not constitute servitudes, some figures historically conceived as such, for example: the prohibition to build beyond a certain height, or to build on the strip of roads and railways. In summary, in order to qualify an easement as an administrative one, real use of the private property of other persons for reasons of public utility or social interest is required. Díez Picazo, L. y Gullón, A. Sistema de Derecho Civil. Volumen III. Derecho de cosas y Derecho Inmobiliario Registral. Sexta Edición. Editorial Tecnos. SA. Madrid. 1997. Pág. 434. Albaladejo, M. Derecho Civil. Tomo III. Volumen segundo. Quinta edición. Editorial Bosch. Barcelona. 1983. Pág. 94. Véase Gatti, E – Alterin, J.H El derecho real. Elementos para una teoría general. Reimpresión. Abeledo-Perrot. Buenos Aires. 1998. Pág. 99. Citado por Gascón y Marín, J. Limitaciones del derecho de propiedad por interés público. Establecimiento tipográfico de Jaime Ratés. Madrid. 1906. Pág. 33. Mayer, O. Derecho administrativo alemán. Editorial De Palma. Buenos Aires. 1951. Pág. 272. Garcini, H. Derecho Administrativo. Editorial Pueblo y Educación. La Habana.1986. Pág.184. Garrido Falla, F. Tratado de Derecho administrativo, Vol. II, Thirteenth edition. Madrid. 2012. Pág. 284. Genetic Manipulation on Plants: Intellectual Property Issues. Biotechnology and specifically, the plan genome manipulation is a matter that needs to be reconsidered by the juridical traditional frame, in order to adequate the norm to the new scientific advances. Intellectual Property recognizes patent rights on products which include biological material, as well as new vegetable varieties obtained, it could mean a limitation for the access to such class of product or plant variety. This work deals with some aspects of Biotechnology regarding to plant genomic, as well as the intellectual property´s legal issues in this matter. New insights to understand the CoMFA and CoMSIA analysis within the framework of Density Functional Theory. Toward a generalized methodology. Currently, the three-dimensional quantitative structure-activity relationship (3D QSAR) models have many applications; however due to the complexity to understand its results is necessary postulate new methodologies. In this sense, this work postulates a generalized version joining the quantum similarity field and chemical reactivity descriptors within the framework of density functional theory. This generalized methodology can be applied to understand the biological activity on a molecular set taking a reference compound. In this sense, this methodology allows study the CoMFA and CoMSIA results in term of quantum similarity and chemical reactivity (J 2015 J. Mol. Model. 21, 156). In this form, is possible study steric and electrostatic effect on local substitutions. Considering that these methodologies can be used when the receptor is known or even when it is not known. This project is born from the needs of Chontla Municipality which is located in Veracruz, México to allow small agricultural producers to have a tool for making decisions about their commercialization and production planning. It is proposed to design and validate statistically a measurement instrument in the form as a survey applicable to small agricultural producers. The results obtained will be used to design the logistics and management indicators that will serve as a strategic resource to empower the municipality and achieve a substantive contribution in the agricultural commodities information systems, thus contributing to local economic development. It is proposed to apply the Checkland systemic methodology, data statistical analysis and software development methodologies. Medicine, Founder CEO of ALS Biopharma, LLC. Center for the Study of Biological Complexity. Virginia Commonwealth University (VCU), USA. (2) Adjunct Associate Professor, Department of Chemistry, University of Minnesota Twin Cities, MN, USA. Donostia - San Sebastián Campus, Gipuzkoa. MOL2NET International Conference Series on Multidisciplinary Sciences, MDPI Sciforum, Basel, Switzerland has online sections (3) and workshops (>10) associated. The conference runs officially from Oct-05 to Dec-20 (of the year in course) at the online platform SciForum maintained by the editorial MDPI, Basel, Switzerland. However, the platform is open from Feb-15 to Dec-20 of the year in course for practical reasons; e.g., accommodation of many workshops in different dates along the year, reception of communications, etc. As we mentioned before, despite the official dates the online sections (1-3) open at the beginning of the year in course (Feb-15) and are open all the year for submissions of communications in order to enable the accommodation of all workshops in different dates along the year. The associated workshops open in different dates along the year (see specific workshop pages). Submission of papers to all sections/workshops is open until Dec-15 of the year in course (2017 for present edition). The publication of communications is continuous all the year upon acceptance. After publication of papers is closed we open the online platform from Dec-15 to Dec-20 of the year in course (2017 for present edition) for online participation. The authors will be able to post online comments and/or answers to comments in this workshop/section and also in the other general sections and/or >10 international workshops of the MOL2NET conference (many of them also run both online and in person). The participants are entitled to receive participation certificates for MOL2NET conference and all the workshops they participate upon request to the respective chairpersons. See committees of MOL2NET and each workshop. 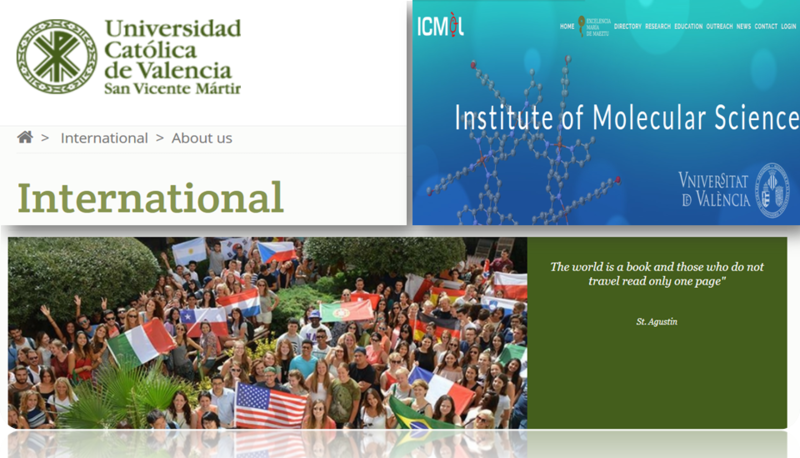 Many of the workshops associated to MOL2NET are going to be held also in person (face-to-face) in different universities of USA, Spain, Italy, Mexico, Chile, etc. This in person workshops have specific schedules in parallel to their online versions. Please, go to the homepages of these workshops and/or contact their chairpersons for further details. Department of Chemistry and Biochemistry, Interdisciplinary Center for Nanotoxicity (ICN), Jackson State University (JSU), USA. Head of the Department of Organic Chemistry. University of Strathclyde Glasgow, G1 1XQ, UK. Loyola University of Chicago (LUC), USA. Donostia – San Sebastian, Gipuzkoa. University of Milano-Bicocca, Milano, Italy. Campus Bizkaia, Leioa, Sarriena w/n, Bizkaia. Assistant Professor of Healthcare Policy and Research, Weill Cornell Medical College, New York, USA. 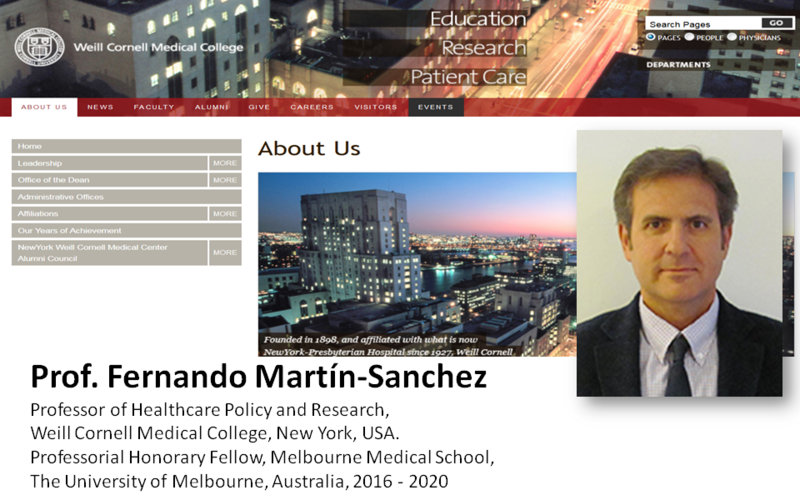 Professorial Honorary Fellow, Melbourne Medical School, The University of Melbourne, Australia. Prof. Maykel Cruz-Monteagudo, FCT Fellow, Univ. of Porto; Consultant, Univ. of Miami, Full Prof. West Coast University, FL, USA. Prof. William H Bisson, Assist. Prof.. Dept. of Environ. & Molecular Toxicology, Oregon State University, OR, USA. Dr. Jose A. Seoane, Research Associate, Stanford Cancer Institute, Stanford University, Stanford, CA, USA. Dr. Marta G. Lete, Texas A&M Health and Science Center, Dept. of Molecular and Cellular Medicine, College Station, TX, USA. 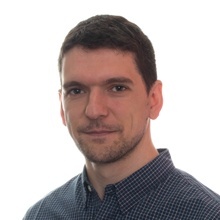 Dr. Santiago Vilar Varela, Research Associate, Department of Systems Biology, Columbia University, USA. Dr. Advait Apte, Scientific Programmer, Department of Biology, City College of New York, New York, NY, USA. Dr. Shameer Khader, Philips Healthcare, Philips Research Americas, 2 Canal Park Cambridge, MA, USA. Dr. Diana María Herrera-Ibatá, Research Associate, Kansas State University, Manhattan, KS, USA. Dr. Gerardo Casañola-Martín, Visiting Fellow, Dept. of Systems and Computer Engineering, Carleton University, Canada. Prof. Ricardo Grau-Crespo, Lecturer Department of Chemistry, University of Reading, Reading, United Kingdom. Prof. Adriana Chilin, Department of Pharmaceutical and Pharmacological Sciences, University of Padova, Padova, Italy. Dr. Yasset Perez-Riverol, EMBL-EBI, Wellcome Trust Genome Campus, Hinxton, Cambridge, United Kingdom. Dr. Luisa Di Paola, Department of Engineering, Università Campus Bio-Medico, Rome, Italy. Dr. Hugo Gutiérrez-de-Terán, Department of Cell and Molecular Biology, Uppsala University, Sweden. Dr. Giovanni Marzaro, Department of Pharmaceutical and Pharmacological Sciences, Padua University, Padua, Italy. Prof. Kazuhiro Takemoto, Assoc. Prof., Dept. of Bioscience and Bioinformatics, Kyushu Institute of Technology, Japan. Prof. Yovani Marrero-Ponce, University San Francisco de Quito, Cumbayá, Quito, Ecuador. Dr. Anuraj Nayarisseri, Principal Scientist, Eminent Biosciences, Vijaynagar, Indore, Madhya Pradesh, India. Prof. Xiaoke Zhou, Assist. Prof., School of Computer Sciences and Technology, Soochow University, Suzhou, China. Soft. Eng. Jorge Naranjo, HPC Applications Specialist, New York University (NYU), Abu Dhabi, UAE. Scientific and Technological Park of Biscay, University of The Basque Country UPV/EHU, Biscay, Spain. Ikerbasque, Basque Foundation for Science. Department of Computation, University of Coruña (UDC), A Coruña, Spain. Prof. Julio Seijas Vasquez, Dept. of Organic Chemistry, USC, Spain. Prof. Carmen Cadarso-Suarez, Dept. Stat. and Operations Research, USC, Spain. Assoc. Prof. Angeles Sánchez, Dept. of Inorganic Chemistry, USC, Santiago, Spain. Assoc. Prof. Xerardo García Mera, Department of Organic Chemistry, USC, Spain. Assoc. Prof. Eddy Sotelo, Dept. of Organic Chemistry, USC, Spain. Prof. Jose Angel Irabien Gulias, Dept. of Chemical and Biomolecular Engineering ETSIIT, University of Cantabria, Spain. Prof. Francesc Illas Riera, Institute of Theoretical and Computational Chemistry (IQTCUB), University of Barcelona, Spain. Prof. Javier Luque Garriga, Department of Physical Chemistry, Universitat de Barcelona, Barcelona, Spain. Prof. Pilar Goya, Institute of Medicinal Chemistry (IQM), CSIC, Juan de la Cierva st., Madrid, Spain. Ph.D. Sonsoles Martin-Santamaría, Staff Scientist, CIB-CSIC, Mardid, Spain. Prof. Ramon García Domenech, Dept. of Physical Chemistry, Faculty of Pharmacy, Universitat de Valencia, Spain. Prof. Victor Maojo, M.D. Ph.D., Biomedical Informatics Group, Polytechnic University of Madrid, Spain. Prof. Emili Besalú Liora. Institut de Química Computacional i Catàlisi (IQCC), University of Girona, Spain. PhD. Tirso Pons Hernández, Staff Scientist, CNIO, Institute of Health Carlos III, Madrid, Spain. Prof. Carmen Iriondo Gabilondo, Head Dept. of Organic Chemistry II, UPV/EHU, Biscay, Spain. Prof. Mª Isabel Moreno, Academic Secretary Dept. of Organic Chemistry II, UPV/EHU, Biscay, Spain. See also, as example, the previous Special Issue on Data Analysis in Molecular Sciences. This issue was published in 2016 on the International Journal of Molecular Sciences (IJMS), IF = 3.257. The issue included 18 papers in total (some of them from the conference). In order to send a proposal of associated workshop and/or special issue contact the chairperson of the conference and UPV/EHU Ikerbasque Professor Prof. H. González-Díaz . MOL2NET International Conference Series on Multidisciplinary Sciences focus on multiple topics of interest for modern sciences due to his multidisciplinary scope. The topics of interest include, but are not limited to, Chemistry (All areas), Mathematics (Applied), Physics (Applied), Materials Science, Nanotechnology, Biology and Life Sciences (All areas), Medicine, Biomedical Engineering, Education, along with Computer Sciences, Data Analysis, Statistics, Artificial Intelligence, Deep Learning, Bioinformatics, Systems Biology, and Complex Networks Sciences. - Physical and biological properties emerging after vigorous shaking of highly diluted systems. This conference is organized by Prof. Humbert González-Díaz. Sciforum is not responsible for the content posted on this website. MOL2NET is an International Conference Series to Foster Interdisciplinary Collaborations in Sciences with emphasis on Experimental Chemistry (all branches), Materials Science, Nanotechnology, Life Sciences, Medicine, and Healthcare, along with Data Analysis, Computer Sciences, Bioinformatics, Systems Biology, and Complex Networks Sciences. Note: In this section we list Professors related to IKERBASQUE, Basque Foundation for Science who are members / supporters of some MOL2NET conference committee. We are glad to invite all colleagues worldwide to participate on a new edition of this International Conference Series. The official title of this conference series is MOL2NET International Conference Series on Multidisciplinary Sciences. MOL2NET (the conference running title) is the acronym of the lemma of the conference: From Molecules to Networks. This running title is inspired by the possibility of multidisciplinary collaborations in science. The topics of interest include, but are not limited to, Chemistry (All areas), Mathematics (Applied), Physics (Applied), Materials Science, Nanotechnology, Biology and Life Sciences (All areas), Medicine, Biomedical Engineering, Education, along with Computer Sciences, Data Analysis, Statistics, Artificial Intelligence, Deep Learning, Bioinformatics, Systems Biology, and Complex Networks Sciences. See the following note to authors on topics outside the scope of the conference and associated workshops [Note on topics]. This section covers: All areas of Chemistry, including, Inorganic, Analytical, Physical, Organic, Medicinal, and Theoretical Chemistry as well as Soft Matter Physics, Biophysics, Polymers, Materials, Pharmaceutical Sciences, and Nanosciences. The topics of interest include both experimental and theoretical research in these areas. Including, but not limited to, Organic synthesis, Chemical reactivity, Catalysis, Solid State Chemistry, Inorganic Crystals, Crystal Symmetry, and Complexes. Physicochemistry and Analytical chemistry techniques; Spectroscopy (X-Ray, NMR, IR, EPR, Mass Spectroscopy), Chromatography and sample preparation techniques, TEM and SEM Microscopy. The section also covers experimental and/or theoretical analysis of artificial polymers, biopolymers, materials, nanomaterials, etc. Experimental and theoretical study of carbon nanomaterials (Graphene, Fullerenes, Nanotubes, Diamonoids), Ceramic materials, Alloys. Biopolymeric Nanomaterials for biosciences (drug carriers, diagnosis tools, medical imaging) including Dendrimer, Protein nanoparticle. Shape Memory Polymers, Nanopatterning, and Surface Imprinting. Last but not least, the section includes studies in theoretical and computational methods: Chemoinformatics and Computer Aidded Drug Design (CADD) methods, Computational Chemistry, Quantum Mechanics (Ab inition, DFT, MP3, AM1 methods), Monte Carlo (MC) algorithm, Quantitative Structure-Reactivity, Structure-Property, or Structure-Retention Relationships (QSPR/QSRR) models in organic, inorganic, physical and analytical chemistry. Experimental Design, Chemometrics, Formulation Design, and Data Analysis in Analytical chemistry and Pharmaceutical sciences. This section covers experimental and computational methods in Life Sciences in general: OMICS, Molecular Biology, Biotechnology, Bioinformatics, Biomedical Engineering, and related topics. Experimental and theoretical methods applied to drug discovery, biomarkers and target validation, vaccine design, in biosciences. In experimental studies: Pharmacological assays, Toxicity and Cytotoxicity studies, Molecular Biology and Biotechnology. Proteomics, Genomics, and Metabolomics (OMICS methods) like Sequencing, Cloning, DNA microarrays, and Mass Spectroscopy in Clinical Proteomics. The section also include the use of computational techniques in the previous fields. Some examples are: Molecular Mechanics and Molecular Dynamics (MM/MD) for Drug-protein Docking studies, Quantitative Structure-Activity / Toxicity Relationships (QSAR / QSTR) models. Bioinformatics analysis of Disease Biomarkers and Computational vaccine design (Alignment and Alignment-free techniques). Determination of the 3D proteins structure using NMR and X-ray techniques. Experimental and computational study of RNA (Rnomics), secondary RNA structure prediction, miRNA biomarkers. As well as, Computational Systems Biology, Complex Networks Analysis for OMICS, Networks Analysis in Ecology, Mathematical Biology, etc. The section includes in addition: Biomedical Engineering, and Medical Informatics. Biomedical research, experimental and/or computational medical diagnostic tools in cancer research, neurosciences, clinic and biomedical engineering. Including, but not limited to, EEG and structural NMR in clinical diagnosis in neurology and brain research. EEG, fNMRI, microscopy, tomography, study for tissue connectivity analysis, including the use of experimental techniques and complex networks computational analysis in neurosciences, bone tissue connectivity, vascular system connectivity, etc. This section covers the different applications of computer sciences, data analysis, statistics, modelling techniques, etc. in multidisciplinary sciences. The topics include, but are not limited to, connectivity analysis in biology, environment, epidemiological, and social networks; including the computational analysis of metabolic pathways in Metabolomics, Protein interaction networks in proteomics, food webs, and other biological-ecological networks like host-parasite, prey-hunter, etc. Geographical Information Systems (GIS), land covering networks, atmospheric reactions networks. Study of social collaboration, electronic social networks (Facebook, Twitter, etc. ), disease spreading networks and epidemiology, vaccination models in epidemic networks, legal and law citing networks, networks in sociology and criminology, etc. This section covers also: technological, industrial, and economic connectivity, including the analysis of computer connectivity, Internet, wireless networks, satellite networks, electrical networks, airport and other transport networks, financial networks, trade networks, etc. In addition, we cover pure theoretical aspects in network science and data analysis theory, including but not limited to theoretical studies in network sciences, topological indices, node centrality, network robustness, multiplex networks, network attack, and new spatial statistical analysis, time series analysis, biostatistics, machine learning and big data analysis methods. This section is also aimed at presenting the most commonly used software tools in Multidisciplinary Science. Include, but is not limited to, new scientific software, web servers, databases, etc. with applications in Chemistry (all branches), Bioinformatics, Proteomics, Biotechnology, Medical Informatics and Biomedical Engineering, Computer Science, etc. The short communications should present computational tools that may be desktop/web/mobile applications/scripts, open code or private software. The tool may be original or a pipe of other tools. It should contain a software description, case uses in order to understand how to employ it, links to the open repositories (GitHub, GitLab, Personal Webs, etc.) or official Webs of the private products, and references of the publications where the tools have been applied. The authors may include in the communication a link to their personal webs, web servers, repositories, databases, etc. Special attention will be paid to the links to tutorials (blogs, videos, etc. ), print screens with the tools in action, pseudocodes, examples of input and outputs, script examples while using the tools, and links to the social network posts for the tools. The emphasis of this section is on the software per se. Communications that make use of a software to solve a practical problem but do not put emphasis on describing it could be suitable for other sections. We also welcome submissions related to: Client–server model — Client–server computing, Grid computing with a cluster of networked, loosely coupled computers to perform very large tasks, Distributed Fog computing paradigm, Dew computing, Mainframe computer for big data processing in large research organizations, Utility computing, and Peer-to-peer computing alternatives in science and medical informatics. For the second time, this year, the memories of the SRI will be hosted online by the MOL2NET conference series. It means, that all communications will be published online at Sciforum platform. All presentations will be peer reviewed and a DOI number will be assigned. MOL2NET conference of Sciforum is one of the platforms with international recognition for scientific exchange. The variety of topics included within this new edition acknowledges the inter-disciplinarity, teamwork, and networking of modern science. Feel free to contact researchers and participants to foster more collaboration efforts. St. Thomas University School of STEM is open to new ventures and joint ventures. Interested to see previous edition can follow the link SRI-08 and witness the quality of 38 submissions with a total of 21 publications. The new edition SRI-09 received a total of 27 submissions. Special thanks to our partner Miami Dade College (MDC) and the grant STEM-SPACE P03C1160161. The received contributions provided funding for equipment, logistics, and minor activities associated with the SRI. Ten speakers from and local Technological companies came to St. Thomas to share their wisdom as an in kind contribution. 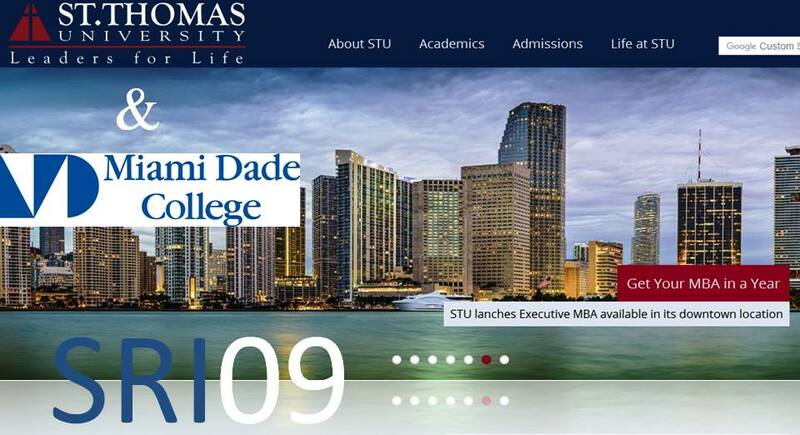 Saint Thomas University (STU), Carnival Building, Room 117, Miami, FL, USA. INIBIC Institute of Biomedical Research, CHUAC, UDC, 15006 Coruña, Spain. RNASA-IMEDIR, Computer Sciences Faculty, University of Coruña, 15071 Coruña, Spain. Campus Biscay, Leioa, 48940, Spain. NOTES: We suggest you to download and use the [Template File] to write your communication. We also strongly recommend you to read carefully the [Instructions to authors] about publication model, copyright, authors responsibilities, etc. Dear colleagues worldwide, we invite you to join us at WCUCW-01 West Coast University Capstone Workshop, 2017, Miami, FL, USA. This is the Capstone workshop for West Coast University (WCU), Miami, FL, USA. This workshop series held each academic term is devoted to fostering both education and research in multidisciplinary sciences. Nursing students completing their General Education courses at WCU form groups of three and take on the roles of scientist, medical researcher, or public health professional, all of them approaching an assigned topic from their field of expertise. They are each required to devise a study on their topic, pretend to conduct it, generate logical data to support a hypothesis, write an academic paper sharing their findings, and defend their data in a presentation.The workshop education goals focus on professors and students in the WCU Miami campus Capstone course. However, we also welcome researchers and students from other nationwide WCU campuses and researchers from other institutions around the world. The Capstone workshop is associated with MOL2NET-03 International Conference on Multidisciplinary Sciences, MDPI Sciforum, Switzerland, HQ UPV/EHU, Bilbao, Spain. It will therefore run both online and in person. The workshop runs online at the platform SciForum maintained by the editorial MDPI, Basel, Switzerland.It runs in person at WCU, Miami campus, during the Capstone course. The topics of interest include, but are not limited to, the following: Multidisciplinary Science (all areas), Health Science (all areas), Chemistry (all areas), Biology and Life Sciences (all areas), Environmental Science (all areas), Social Sciences (all areas), Biomedical Engineering, Mathematics (Applied), Data Analysis, Education. See the following note to authors on topics outside the scope of the conference and associated workshops [Note on topics]. Comments on previous works are short notes to comment about the more interesting points, highlights, etc. of works previously published by the authors or other groups. In this case, committee and/or external reviewers also only check the scope and apparent scientific soundness. The works may also receive comments from registered participants (public post-publication review). Prof. Lazaro Pino, Assoc. Prof., West Coast University (WCU), Miami, FL, USA. Professor of Chemistry, San Ignacio University (SIU), Campus Miami, FL, USA. USINEWS-01; US-IN-EU Worldwide Science Workshop Series, UMN, Duluth, USA, 2017. 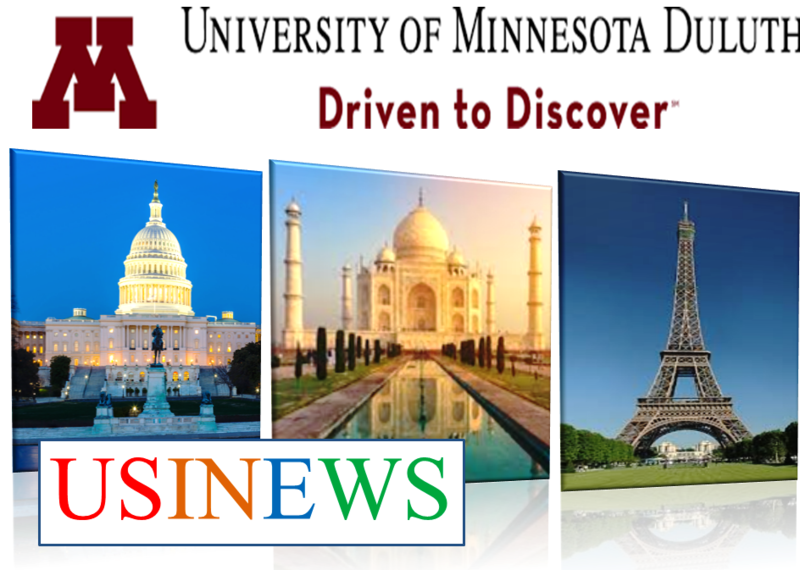 USINEWS-01; US-EU India Worldwide Science Workshop Series, UMN, Duluth, USA, is aimed to become a reference international science workshop series. USINEWS series focused on the interchanges of ideas among India researchers working in India or abroad (U.S., Europe, etc.) with colleagues from other countries across the world. In fact, this workshop (formerly known as INDOWSCI) have headquarters in USA, Europe, and India. Consequently, you should consider both university of University of Minnesota, MN, USA and Netaji Subhas Institute of Technology, New Delhi, India (see chairpersons below) as the two main host institutions. 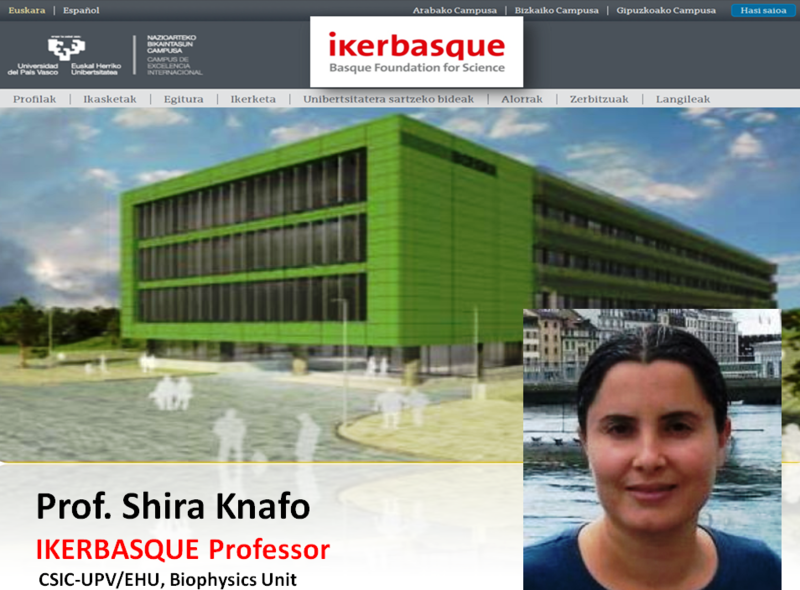 In Europe, professors endowed by IKERBASQUE, Basque Foundation for Sciences and the University of Basque Country (UPV/EHU), are the main supporters and in charge of online publication headquarters. The foundations of this workshop are in the multiple collaborations of Professors / Researchers of Indian researchers like Dr. Suhbash C. Basak, University of Minnesota, USA, Prof. Kunal Roy, Jadavpur University, Dr. Shameer Khader, Philips Healthcare, Cambridge, MA, USA, with their international colleages at Virginia Commonwealth University (VCU), University of Coruña (UDC), University of Basque Country (UPV/EHU), IKERBASQUE, Basque Foundation for Sciences, and many other institutions in US-EU, India, and other countries. USEINWSCI workshop series is associated to MOL2NET-03 International Conference on Multidisciplinary Sciences, MDPI Sciforum, Switzerland, HQ UPV/EHU, Bilbao, Spain. Consequently, it aims to promote results on Multidisciplinary Science (All Areas), including but not limited to, the following topics of interest: Chemistry (All areas), Mathematics (Applied), Physics (Applied), Materials Science, Nanotechnology, Biology and Life Sciences (All areas), Medicine, Biomedical Engineering, Education, along with Computer Sciences, Data Analysis, Statistics, Artificial Intelligence, Deep Learning, Bioinformatics, Systems Biology, and Complex Networks Sciences. See the following note to authors on topics outside the scope of the conference and associated workshops [Note on topics]. M.Sc. Rajeev K Singla (M.Pharm), NSIT Netaji Subhas Institute of Technology, New Delhi, India. Prof. Cristian R. Munteanu, Department of Computation, University of Coruña (UDC), A Coruña, Spain. We are glad to invite all colleagues worldwide to participate on the workshop IWIMSM-01: Iberoamerican Workshop on Modelization and Simulation Methods, Valencia, Spain, 2017. This is a joint workshop promoted by professors of the Institute of Molecular Science (ICMol) and the Faculty of Pharmacy of the University of Valencia (UV), and the Catholic University of Valencia (UCV), Valencia, Spain. MOL2NET (the conference running title) is the acronym of the lemma of the conference: From Molecules to Networks. IWIMSM-01: Iberoamerican Workshop on Interdisciplinary Modelization and Simulation Methods, Valencia, Spain, 2017. This workshop is associated to the MOL2NET International Conference Series on Multidisciplinary Sciences. This conference is in large measure targeted at under-graduated, MSc, and PhD students, as well as Professors, Engineers, and Researchers focused on the application of Computational Modelling and Simulation techniques. The fields of application include, but are not limited to, Medicinal Chemistry, Computational Chemistry, Materials and Nanosciences, Bioinformatics, Biotechnology, Systems Biology, Biomedical Engineering, Environmental Sciences, Social Sciences, Scientometrics, etc. The algorithms used may also come from different areas including, but not limited to, Discrete Mathematics, Mathematical Analysis, Complex Networks Sciences, Statistics, Data Analysis, Artificial Intelligence, Machine Learning, Deep Learning, etc. Before to submit your communication we recommend to download and use the [Template File] to write your communication. We also strongly recommend you to read carefully the notes to participants at the following page [Instructions to authors] about publication model, copyright, authors responsibilities, etc. Submit your communications in two steps, first submit your title, authors, and abstract here: [Submit New Abstract]. Next, upload your communication after abstract approval. Prof. Gloria Castellano, Email: [email protected]Director of Department of Experimental Sciences and Mathematics, Catholic University of Valencia (UCV), Valencia, Spain. Prof. Francisco Torrens, Email: [email protected]Institute of Molecular Science (ICMol), University of Valencia (UV), Valencia, Spain. Prof. Ramon García-Domenech, Full Prof., Department of Physical Chemistry, Faculty of Pharmacy, University of Valencia, Spain. Prof. Facundo Pérez Giménez, Department of Physical Chemistry, Faculty of Pharmacy, University of Valencia, Spain. Prof. Jesus V. De Julián Ortiz, Tenure-track 1, Department of Physical Chemistry, Faculty of Chemistry, University of Valencia, Spain. Dr. Maria Galvez-Llompart, Department of Physical Chemistry, Faculty of Pharmacy, University of Valencia, Spain. Dr. Riccardo Zanni, Department of Physical Chemistry, Faculty of Pharmacy, University of Valencia, Spain. Prof. Alejandro Pazos, Ph.D., M.D., Director of Department of Computation, University of Coruña (UDC), Coruña, Spain. Prof. Juan M. Ruso, Department of Applied Physics, University of Santiago de Compostela (USC), Spain. Prof. Natalia D.S. Cordeiro, Department of Chemistry and Biochemistry, University of Porto, Porto, Portugal. 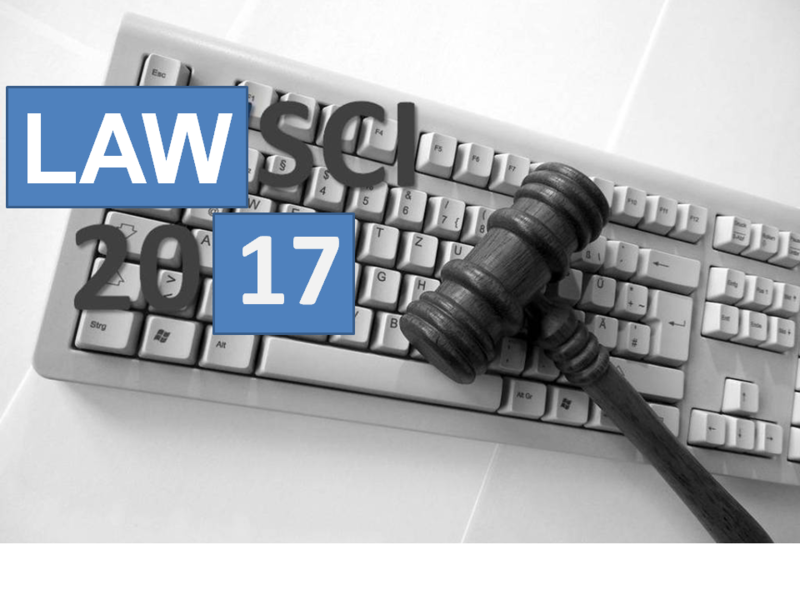 We are glad to invite you to participate in the workshop LAWSci, Challenges in Law, Technology, Life, and Social Sciences. This workshop will be held from 25-30 Oct, 2017, online at Sciforum platform. This is a workshop associated to the MOL2NET International Conference Series on Multidisciplinary Sciences, MDPI Sciforum, Switzerland, HQ UPV/EHU, Bilbao, Biscay, Spain. LAWSci workshop series promotes multidisciplinary collaborations and debate in the frontiers of Law, Technology, Life, and Social Sciences. The interaction between bio-science and ICTs has forged great developments in many fields. However, the appreciation of these discoveries is sadly, all too often, accompanied by a lack of understanding of the legal implications. This conference series aims to provide a reference to the various legal avenues that are available for the protection of scientific advances, but also the legal instruments to protect society from unwanted effects. It constitutes a study of some of the legal implications of bioscience and ICT advances, weighing their impact on society and the law's role in shaping that effect. In this sense, the presentations will be focused on legal trends in different fields covering, but not limited to: patentability in plants and human genomics, clinical procedures’ standards, patients’ personal data protection, informed consent, regulatory issues in drug discovery, biomedical research legislation, toxicology, medico-legal problems such as healthcare malpractice, medical insurance or ethics in medical practice, software protection in chemo-informatics, bioinformatics, medical informatics, and social sciences, taxes in the biotechnology industry and causality/liability in environmental pollution, criminology, etc. The conference will run on-line and free, saving traveling and participation costs (subscriptions, open publication, participation in forum, certificates, etc., are free of cost). In any case, it is the responsibility of the authors, to ensure the veracity of the contents, checking similarity to other works, and carry out a proper citation of previous works. The committee is not responsible of this previous aspects in this publishing modality. In this sense, we strongly recommend the authors to use online text-similarity checking services to avoid any form of plagiarism or copyright violation. Some workshops in this conference series use specialized services to checked for possible text similarity. For instance, MODEC is using the official account of their organizing university for URKUND web server. Please, be aware that the authors may be requested to modify (re-write their texts) the communication in the case that high similarity is detected and reported to the committee. In these cases, the manuscript could temporarily withdrawn until the authors re-submit the proper version. The authors are also allowed to submit short reviews, comments, letters, or discussions of papers already published if they guarantee sufficient difference to previous public contents. Full Professor University, Director of Research Group: Chair in Law and The Human Genome, Department of Public Law, University of Basque Country (UPV/EHU), Faculty of Law, Campus Biscay, Leioa 48940, Spain. Member of The European Group on Ethics in Science and New Technologies (EGE), Brussels, Belgium. Member of The Council of Europe Steering Committee on Bioethics (CDBI), Strasbourg, France. Department of Special Public Law, Faculty of Law, University of Santiago de Compostela (USC), Spain. Senior Manager Public Law Area, Chavarri Abogados, Professor of Constitutional and Economic Public Law. CUNEF. Madrid. Professor of Constitutional Law. IEB. Madrid. Associate Professor at the Legal Department. IE Business & Law Schools. Madrid. Associate Lawyer, Commercial Law Area, Deloitte Abogados y Asesores Tributarios. Coordinator of Postgraduate Education, Universidad Andina Simón Bolívar, Cochabamba, Bolivia. Weill Cornell Medicine, Cornell University, New York, 10065, USA. Counseling Phsycologist, 101Y00000X , 701 SW 27TH AVE, 33135, Miami, FL , USA. Postdoctoral Research Associate, Research Group: Chair in Law and The Human Genome, Department of Public Law, University of Basque Country (UPV/EHU), Faculty of Law, Campus Biscay, Leioa 48940, Spain. Lecturer at The National Distance Education University (UNED), Biscay, Spain. University of Basque Country (UPV/EHU), Faculty of Law, Campus Biscay, Leioa 48940, Spain. We are glad to invite you to participate in the workshop SIUSCI-01. SIUSCI-01 workshop series will be held at San Ignacio University (SIU), FL, Miami, USA. San Ignacio University is an innovative educational institution dedicated to the creation of the leaders of tomorrow accredited by the Accrediting Council for Independent Colleges and Schools (ACICS). The present workshop focus on topics of multidisciplinary sciences relevant to the interests of SIU students and professors. SIUSCI-01 is also devoted to strength the collaborations and networking between SIU professors and students with other students and researchers in FL education system and worldwide. In this sense, SIUSci-01 is a workshop associated to and hosted online by the MOL2NET Conference Series on Multidisciplinary Sciences, MDPI Sciforum, Basel Switzerland. This means that all communications are going to be published online at Sciforum platform. All presentations will be peer reviewed and a DOI number will be assigned. MOL2NET conference of Sciforum is one of the platforms internationally recognized for scientific exchange. This annual edition is full of diversity in topics, approaches, and integration of disciplines, representing one of the common paradigms of modern science, interdisciplinary teamwork, and networking. I hope you will enjoy the program and the presentations. 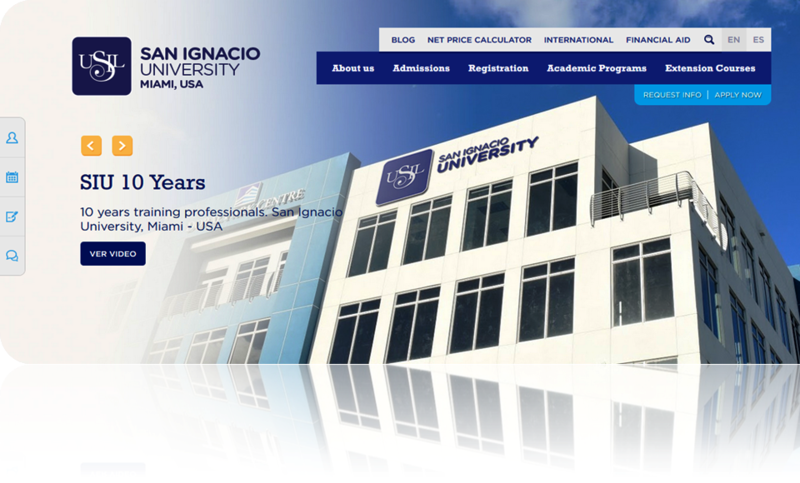 Professor San Ignacio University (SIU), Campus Miami, FL, Miami, USA. 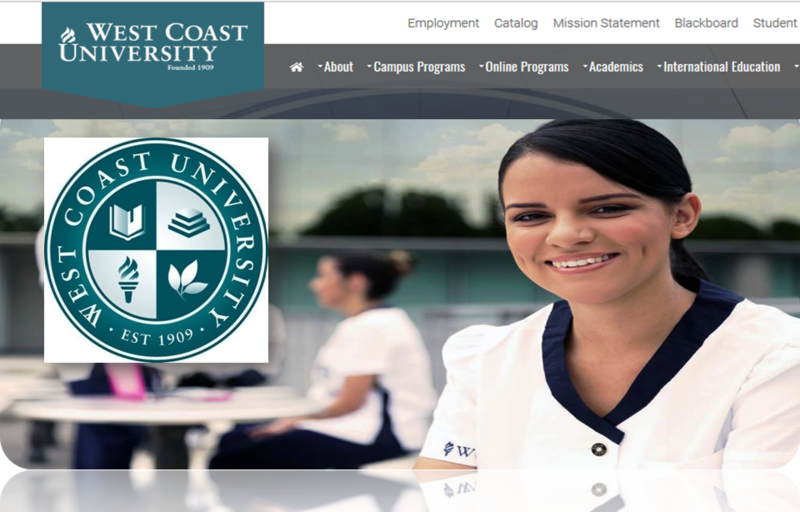 Associate Professor, West Coast University (WCU), Miami, FL, USA. Prof. Maykel Cruz Monteagudo, FCT Fellow, Univ. of Porto; Consultant, Univ. of Miami, Prof. West Coast University, FL, USA. Prof. Xiomara Cabrera, San Ignacio University (SIU), Campus Miami, FL, Miami, USA. Prof. Tania Sureda, Miami Dade College (MDC), Miami, FL, USA. University of Basque Country (UPV/EHU), Faculty of Law, Campus Biscay, Leioa, 48940, Spain. 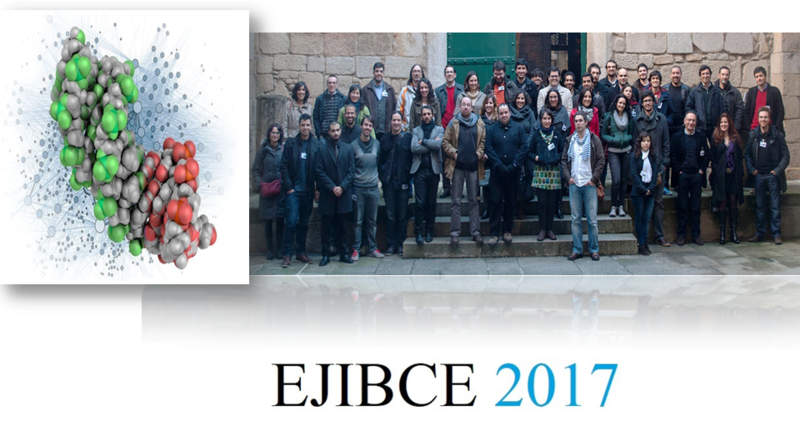 The Meeting of Young Researchers in Structural Computational Biology (EJIBCE 2017) aims at bringing together the Portuguese scientific community working in the field in a free-of-charge meeting, to provide a forum for discussion and sharing with no strings attached. This third edition builds on the success of previous editions in Porto, Lisbon, Coimbra and Oeiras, which gathered ca. 60 participants and had over 10 oral communications in each edition. EJIBCE 2017 builds up on the format of previous editions, focusing on a small number of oral communications interspersed with several breaks to encourage discussion and exchange of ideas. Throughout the day, 11 researchers will present their results. Seven will be selected from the submitted abstracts by the Scientific Committee, based on the quality and originality of the work, and will be given 15 minutes to speak, followed by a short discussion. The remaining 4 oral communications will be delivered by invited keynotes, who will be given 30 minutes to speak plus 10 for discussion. The program is available as a Google Calendar [Here]. This workshop is associated to the MOL2NET-03 International Conference Series on Multidisciplinary Sciences. This is a year-round conference series with multiple associated workshops worldwide (online and in person). In fact, This year’s edition will run both, in person at University of Coimbra Physic’s Department and online at the web platform SciForum maintained by the editorial MDPI, Basel, Switzerland. It means that, after publication of all papers of all the workshops associated to the conference we shall open the online platform and the authors of general sections and all workshops will be able to post online comments and/or answers to comments in this workshop/section and also in the other general sections and/or workshops. To see a detailed schedule of the conference follow this link [MOL2NET workshops schedule]. The UPVEHUDW01: First UPV-EHU DELFIN Program Workshop, Bilbao, Jul, 2017 is a scientific and educational workshop organized by professors of the University of the Basque Country (UPV/EHU) and IKERBASQUE, Basque Foundation for Sciences. The workshops is associated to the MOL2NET International Conference Series on Multidisciplinary Sciences, MDPI Sciforum, Basel, Switzerland. 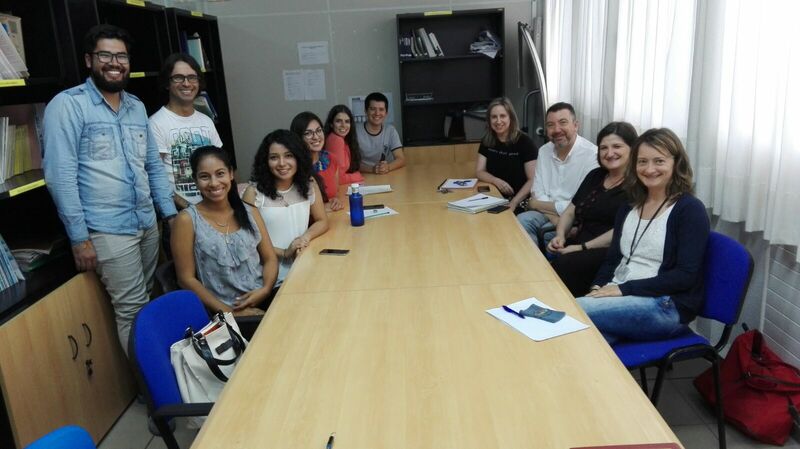 The workshop aim is to promote the scientific, educational, and cultural interchange of professors and students of UPV/EHU with students of the international education network DELFIN, Mexico. 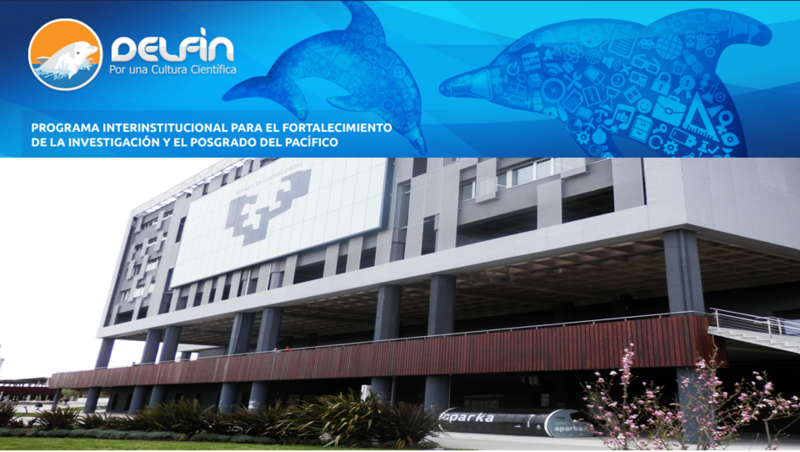 The DELFIN program was created in 1995 with the aim of strengthening the collaborative culture between the Higher Education Institutions and Research Centers that are members of the Program, through the mobility of professors-researchers, students and the dissemination of scientific and technological products. In particular to strengthen the development of research and national graduate. Specifically, student mobility is promoted through academic research stays, within the framework of the Summer of Scientific and Technological Research of the Pacific. This mobility program strengthens the vocation of young people for science and technology and influences their decision to join postgraduate programs at home and abroad. Faculty of Law, University of the Basque Country UPV/EHU, Campus Biscay. NOTE ON PUBLICATION MODEL: Before to submit your work be aware that the editorial publication model of this workshop is similar to a PREPRINT service. It means that works presented here have to be considered only as preliminary communications and not as final post-print versions of journal papers. In this sense, even when all the works published are revised by at least one member of the committee and/or external reviewer this level of revision checks only apparent scientific soundness and general scientific interest. In a second level, collective post-publication review, the works published may receive comments (published in the form of posts) from all the participants registered in the conference. The authors are prompted to use all these opinions to write the full versions of their works and submit them to publication in a peer-reviewed scientific journals according to SciForum copyright rules. In the specific case of MODEC workshop all papers will be checked for possible similarity using the official count of the organizing university for URKUND web server. In any case, the authors are the only one responsible of the veracity of the contents, checking similarity to other works, citing properly previous works, etc. Welcome to the MODEC2017 workshop. This is Amazon State University's (UEA) first workshop, devoted to the promotion and application of the Multidisciplinary Sciences to the development of natural products and agro-industrial processes in Ecuadorian Amazon regions. This workshop runs both online and on location at the university. The online portion of the workshop is powered by the SciForum platform of MDPI, hosted by the MOL2NET International Conference Series on Interdisciplinary Sciences. Abstracts submission until 2017-Oct-01, Envio de los abstract hasta el 01 de octubre de 2017. NOTES: Before to submit your communication we strongly recommend to read carefully the [Notes to Authors] about, participation modalities, publication model, copyright, authors responsibilities, etc. NOTES: MOL2NET is a year-round conference series with multiple associate workshops worldwide. As is the conference is running and open to submissions almost all the year, please read [Workshops/Sections Schedule]. We suggest you to download and use the [Template File] to write your communication. We also strongly recommend you to read carefully the [Instructions to authors] about publication model, copyright, authors responsibilities, etc. Dear all we are glad to welcome you to the workshop in research sciences applied in medicinal chemistry 2017, organized by researches from Department of Chemistry, Programa de Pós-Graduação em Produtos Naturais e Sintéticos Bioativos (PgPNSB - Postgraduate Program in Natural Products and Synthetic Bioactive) and Hospital Universitário of Universidade Federal da Paraíba (UFPB). 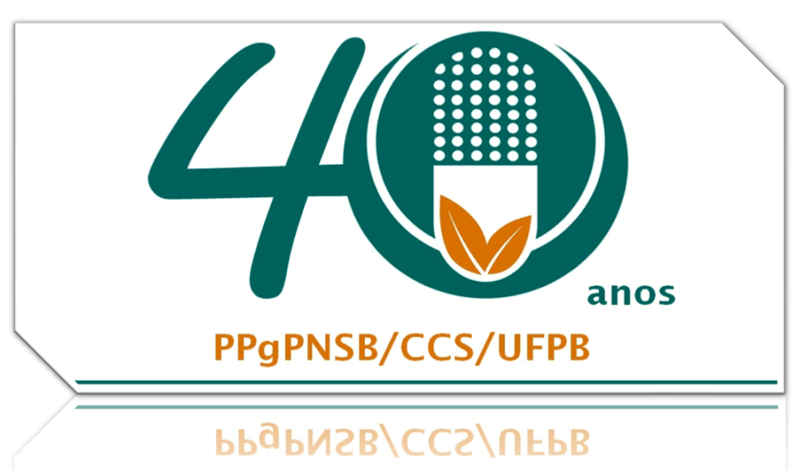 This year the WRSAMC is dedicate to the PgPNSB 40th Anniversary. This is workshop also is associated to MOL2NET-2 International Conference on Multidisciplinary Sciences. Consequently, the present page of the conference will serve as both: (1) publication media for communications, posters, or plenary conferences (videos) and also (2) online discussion media to post comments, questions, and answers about the workshops, respectively. Participants on both events, online discussions at the end of the year and workshop along the year, are entitled to receive attendance certificates from both the WRSAMC workshop and the MOL2NET conference. The WRSAMC will be held from 11-14 December 2017, online via the platform SciForum. The online submission is now open and the publication of communications will be ASAP after acceptance. Submission process has the following steps: 1-Registration, 2-Submission of abstract, 3-Wait for abstract acceptation email, 4-Upoload of full communication, 5-Wait for communication approval/publication emails. After you successfully register, you can submit your paper online. Communications are expected to be short papers 1-3 pages. Please, donwload and use the following template WRSAMC template to submit your communication. on step 1, you should select MOL2NET 2017, International Conference on Multidisciplinary Sciences, 3rd edition (Conference). on step 2, you should select WSRAMC2017 workshop in research sciences applied in medicinal chemistry. Before to submit your work be aware that the editorial publication model of this workshop is similar to a PREPRINT service. It means that works presented here have to be considered only as preliminary communications and not as final post-print versions of journal papers. In this sense, even when all the works published are revised by at least one member of the committee and/or external reviewer this level of revision checks only apparent scientific soundness and general scientific interest. In a second level, collective post-publication review, the works published may receive comments (published in the form of posts) from all the participants registered in the conference. The authors are prompted to use all these opinions to write the full versions of their works and submit them to publication in a peer-reviewed scientific journals according to SciForum copyright rules. Some workshops will use specialized services to checked for possible similarity. In any case, the authors are the only one responsible for the veracity of the contents, checking similarity to other works, and proper citing or under-citing of previous works, etc. Prof. JoseanFechine Tavares, Instituto de Pesquisa em Farmacos e Medicamentos, Universidade Federal da Paraíba - Campus I, Cidade Universitária, CEP: 58.051-900, João Pessoa - Paraíba – Brasil. Prof. Fabiana de Andrade Cavalcante Oliveira, Instituto de Pesquisa em Farmacos e Medicamentos, Universidade Federal da Paraíba - Campus I, Cidade Universitária, CEP: 58.051-900, João Pessoa - Paraíba – Brasil. Prof. BagnoliaAraujo Costa, Instituto de Pesquisa em Farmacos e Medicamentos, Universidade Federal da Paraíba - Campus I, Cidade Universitária, CEP: 58.051-900, João Pessoa - Paraíba – Brasil. Prof. Mateus Feitosa Alves, Departamento de Ciências Farmacêuticas, Centro de Ciências da Saúde, Universidade Federal da Paraíba - Campus I, Cidade Universitária, CEP: 58.051-900 João Pessoa - Paraíba – Brasil. Prof. Vicente Carlos de Oliveira Costa, Instituto de Pesquisa em Farmacos e Medicamentos, Universidade Federal da Paraíba - Campus I, Cidade Universitária, CEP: 58.051-900, João Pessoa - Paraíba – Brasil. M.Sc. Lucas Silva Abreu, Instituto de Pesquisa em Farmacos e Medicamentos, Universidade Federal da Paraíba - Campus I, Cidade Universitária, CEP: 58.051-900, João Pessoa - Paraíba – Brasil. M.Sc. Yuri Mangueira Do Nascimento, Instituto de Pesquisa em Farmacos e Medicamentos, Universidade Federal da Paraíba - Campus I, Cidade Universitária, CEP: 58.051-900, João Pessoa - Paraíba – Brasil. Dear all we are glad to welcome you to the WUCH01: UCH Workshop Series on Multidisciplinary Sciences, Valencia, Spain, 1st edition. This is one scientific conference series for professors, researchers, and young scientists; with special emphasis on the active participation of graduated students of the CEU Cardinal Herrera University (UCH), Valencia, Spain. The main source of papers of this workshop are the results presented by the professors and students of the UCH on their 14th Students International Congress. This congress was hold in person on July 2016 at UCH, Montcada, Valencia, Spain. However, the workshop also welcomes online participation (posts) and/or submissions (2-3 pages long communications) from all colleagues worldwide to be published online. The submission is open and the publication of communications will be ASAP after acceptance, all the year; to submit a communication use the Submission link. After you successfully register, you can submit your paper online. You need to register and send your abstract first. For more details please contact the chairperson of this workshop by email. This is workshop is associated to MOL2NET-03 International Conference on Multidisciplinary Sciences, MDPI Sciforum, Switzerland, HQ UPV/EHU, Bilbao, Spain.